Searches are ongoing in Orkney for missing pensioner James Mainland. 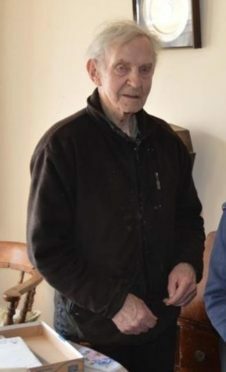 The 88-year-old was last seen at his home in the Birsay area at about 6.30am on Saturday morning. Mr Mainland remains missing, despite extensive search activity by emergency services in the area, and the nearby Loch of Boardhouse. Mr Mainland has dementia and is described as being unsteady on his feet. He is around 5ft 8in tall with a slim build, blue eyes, short white hair and a short white beard. At the time he left home he was wearing a blue body warmer, purple top, black trousers and brown slippers. Searches today have included police officers, coastguard teams and the fire service. Chief Inspector Matt Webb said: “As time passes we are naturally growing increasingly anxious to trace Mr Mainland and I would continue to ask anyone with information which could help locate him to get in touch. “Search activity has been ongoing and has covered a significant area. “I’m grateful to the local community for their support of the search so far and I would like to thank everyone who has assisted with our efforts. “Please continue to keep checking outbuildings, garages and sheds in case Mr Mainland has taken shelter – you may have already looked but please remain vigilant for any possible sightings. Anyone with information is asked to contact police on 101, quoting reference NK1065/18 urgently.